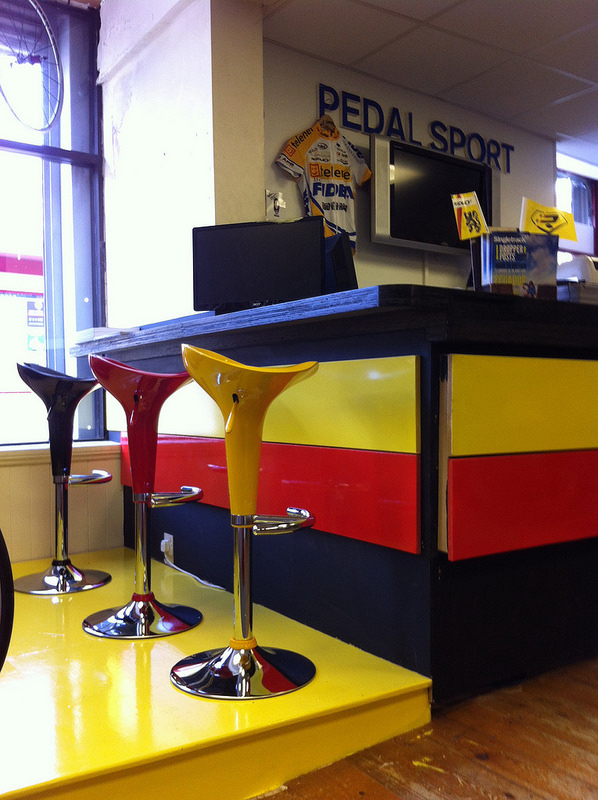 Recent visitors to the Pedalsport shop will have noticed a few changes as we spruce up the counter area and add a little dash of TdF colour to the surrounding displays. 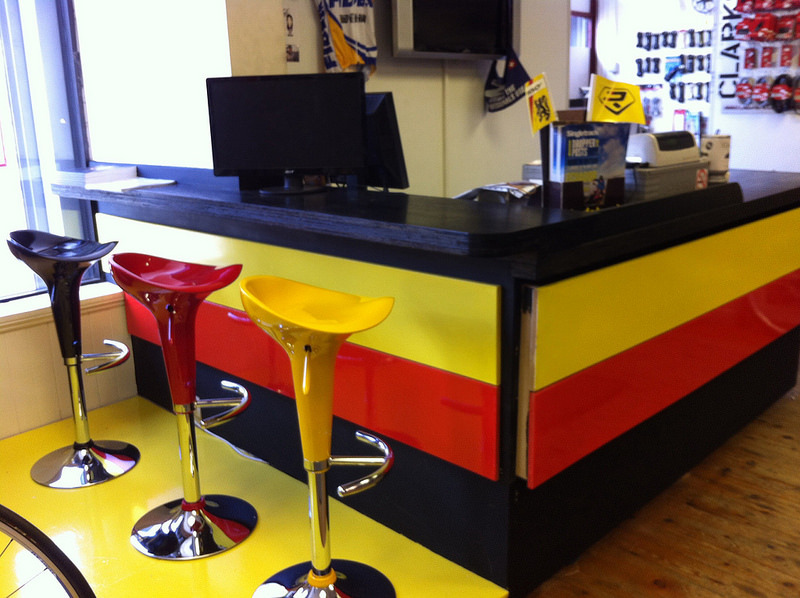 First up, we’ve got a new counter which we’ve painted to match the Pedalsport club’s new colours – check out the new bar stools, also matching. Adjacent to the new counter is a new “stage” area, painted yellow as part of a make-over for the three main display areas you see upon entering the shop – these areas are painted in the colours of the three main jersey competitions in the Tour de France. As well as that yellow one (race leader’s colours), there’s a green one (sprinters), where the Festina display cabinet is and a white one right by the door. We’ll be adding red polka-dots to the white stage to finish off its climbers’ jersey colours. Now that we’re almost finished putting things straight again, why not pop in and have a look for yourself? This entry was posted in Latest News on March 14, 2014 by pedalsportclub.